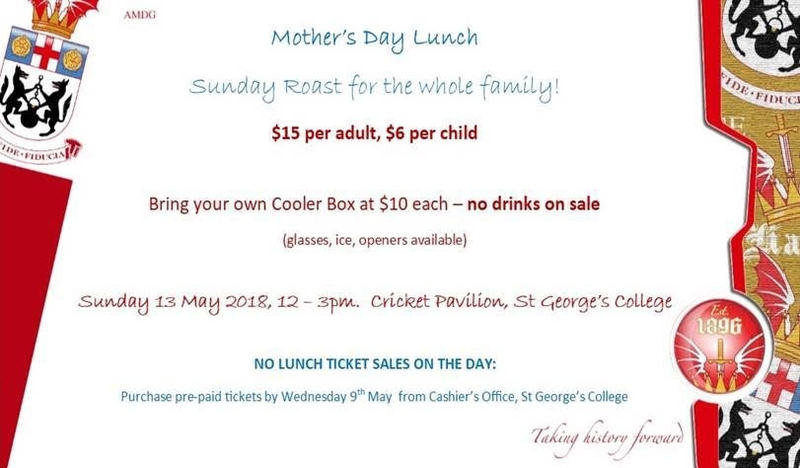 Sunday Roast - Mother's Day Lunch. See you at the Cricket Pavillion. Purchase lunch tickets by the 9th of May at the cashier's office at St Georges.